Interview with Sabrina Baracetti: "Asian cinema has many faces, it is undoubtedly one of the biggest and strongest on the international market"
Sabrina Baracetti is the president of Far East Film Festival and artistic director since 1999. She is also a member of Cineteca del Friuli board of directors, commercial director at Tucker Film and President of the Centro Espressioni Cinematografiche in Udine. She collaborates with magazines such as Il Ponte, Il Paese, Nekelodeon etc, and works in production, being the co-producer of films such as “Fukuchan of the Fuku Fuku Flats. She also collaborates with many festivals across the world, as juror or adviser, including Toronto International Film Festival, Neuchatel International Fantastic Film Festival, Puchon International Fantastic Film Festival and many others. We speak with her about the history of the festival, the program selection, the different sections, Asian cinema and many other topics. In the 80s and 90s, C.E.C. organized a Festival called Udineincontricinema, which focused on a different subject or author each year. The Festival changed during the 90s with the idea to shed a light on overlooked moments of the history of cinema, focusing on popular cinema and with the idea to have guests in Udine to meet the audience. This led to some retrospectives, dedicated to the Italian popular cinema of the 50s (1995), the Italian political cinema of the 60’s and 70’s (1996) and European Westerns (1997). In 1998, we decided to shift the focus to Hong Kong and put together a retrospective that portrayed fifty years of Hong Kong cinema, inviting well-known filmmakers and stars such as Ringo Lam, Johnnie To, Anita Yuen, Cha Chuen-Yee, Peter Chan, Lau Ching-wan and many others. This event had a huge success and enthusiastic crowds of cinemagoers filled the Ferroviario, the movie theatre we used to manage at that time. 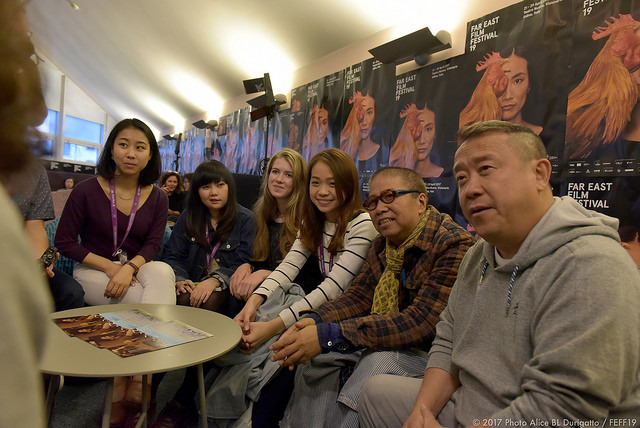 Following this success, in 1999 we turned the Udineincontricinema Festival into the Far East Film Festival, extending its visions to other nations and moving to the 1200-seats Theatre “Giovanni da Udine”. 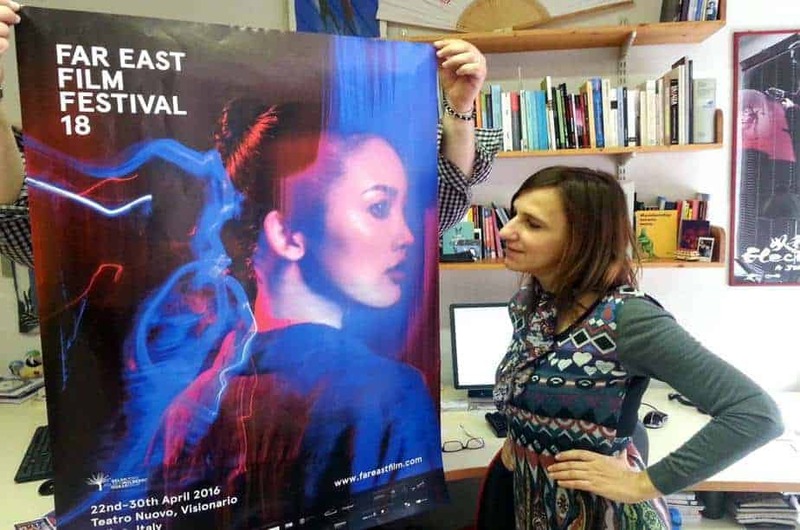 The principal aim of the Far East Film Festival has always been to reduce the cultural distance between the East and the West by showcasing the films which are popular in Asia: the films people are actually going to see at the cinema, the blockbusters and genre films that rarely reached Western audiences except through pirated copies or in other unorthodox ways. 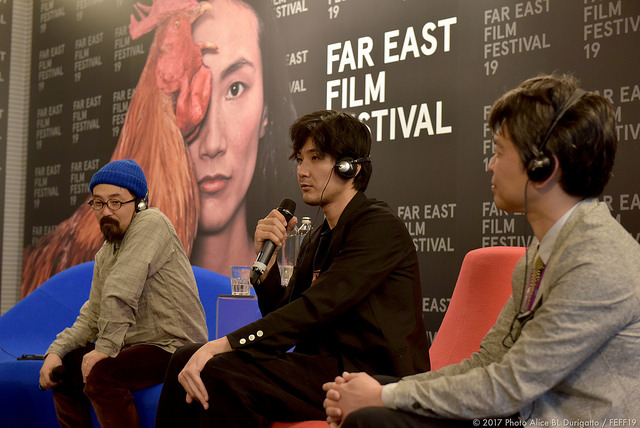 The focus in Udine has always been on popular cinema, with the idea to showcase the whole scope of East Asian moviemaking and not simply its specialized, auteurist and extreme sides. Why did you choose Udine as the base of the festival? What are the benefits and what the issues with the particular choice? This wasn’t the result of a choice. The C.E.C. is a cultural association founded in Udine in the 70’s, which managed for many years a small 200-seat cinema situated near the Railway Station and called Ferroviario. Nowadays, the association is still dedicated to the public showing of quality cinema, by programming and managing two film theatres in Udine (the Visionario and the Centrale, for a total of five screens). 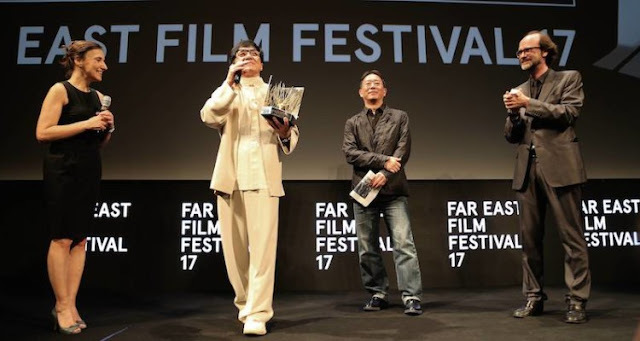 The Far East Film Festival is the most important cultural and artistic project handled by C.E.C. and is something that is deeply linked with the association itself. Udine is a small town with a population of almost 100.000 people (but with an urban area of almost 180.000) located in Northeastern Italy, in a region called Friuli Venezia-Giulia. Being quite far off the tourist track and not well-known like Rome, Milan, Florence or Bologna affects its visibility, the media coverage and fundings from private entities. At the same time, we can feel the emotional involvement of the town in the Festival and this is an overwhelming force that helps us to keep up the work. Can you analyze the procedure of the film selection for the program? We screen from 60 to 70 films a year, among new films and retrospective sections, nearly 7 films a day during the 9-day Festival at the Theatre, plus some other films at the Visionario. We also publish a catalogue of roughly 300 pages and a book almost yearly. All our publications are bilingual Italian/English. 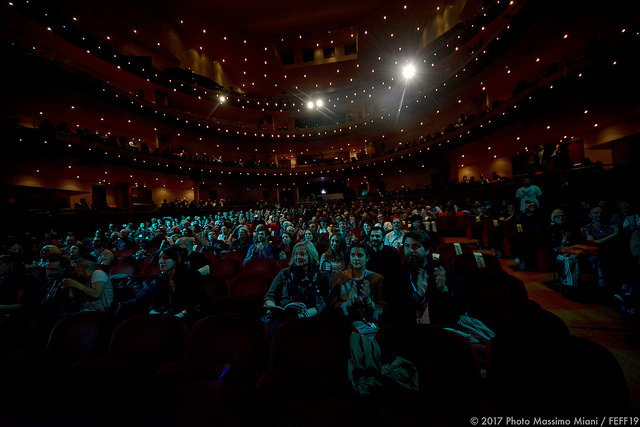 The Festival has a main section of competing films and the Jury is the audience. The top three winning titles are those that receive the highest number of votes by the Festival audience. The idea behind Ties That Bind and Focus Asia is to enforce the mission of the Festival aiming at the Industry. The first one is a workshop launched in 2008 and designed to assist 10 producers from Asia and Europe with potential European-Asian co-production projects. Organized together with EAVE (European Audiovisual Entrepreneurs), it started with the collaboration of Busan International Film Festival and since 2015, it has been realized in partnership with SAAVA (Southeast Asian Audio-Visual Association), founder of the Southeast Asian Film Financing Forum (SAFF) in Singapore. Focus Asia was launched in 2016 and is a project market dedicated to genre projects with strong co-production or co-financing potential with Asia or Europe. 13 genre film projects including 14 different countries were selected and producers and directors had the chance to meet over 100 decision makers, possible financiers and sales agents from both markets. Both these Industry events are organized together with the Friuli Venezia Giulia Film Fund. The Campus is an educational project, dedicated to 10 young (under 26) Asian and European aspiring journalists. The participants are an active part of a programme that includes seminars, interviews and workshops centered on the art of writing and cinema and they are followed by a group of professionals led by the veteran journalist Mathew Scott. Can you tell us a bit about the financial status of Far East? Is the festival successful in that aspect? The C.E.C. and the Festival are financed by the Italian Government, the Friuli Venezia Giulia region, and Udine municipal authorities, with the region making the biggest effort. Almost 70% of the budget comes from public fundings, with the remaining part covered by ticket and pass sales and private sponsors. We have worked hard to ensure more fundings from private sponsors and we have been relatively successful in this; however, there is still a lot to do. Far East has been on for 19 years. Are there any episodes in the history of the festival you single out? Good and bad. There are many great episodes we won’t forget, as finally having here Jackie Chan as a guest star after stubbornly inviting him for 17 years, or opening the Festival with a concert by Joe Hisaishi. Of course there have also been bad moments, the worst probably was during the SARS epidemic in 2003, when the reaction of a part of the town against the Festival prevented us from inviting guests from China and Hong Kong. In your opinion, how did the festival manage to keep on for so many years and what it the recipe for its success? Well, maybe there isn’t a recipe for its success, but there is a necessary condition, which is the passion and determination of all the group of people working for it, in Udine and around the world. What is your opinion of Asian cinema at the moment, and its penetration in Europe? Are there any individual filmmakers that stand out? Asian cinema has many faces, it is undoubtedly one of the biggest and strongest on the international market (considering China, Japan and Korea) as well as one of the most interesting and emerging one (Indonesia and the Philippines are especially on the rise in Festivals all over the world). But while Asian films are hugely successful in Asia, they haven’t necessarily broken through outside the Continent. 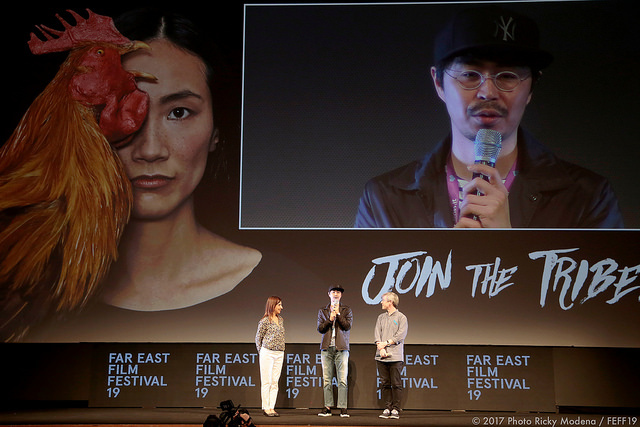 Yes, you have films like “Train to Busan”, but this is one mega-hit a year, and Festivals like FEFF still have a role and an outstanding importance in encouraging up-and-coming directors from the East. Next year marks the 20th anniversary edition of the FEFF and we’ll have time to celebrate, but we will also focus on strengthening and developing the collateral activities we’ve started during the last years, Focus Asia in particular.